VIP All Day Ticket ($125 per person) includes Cabernet Workshop, Cabernet Focused Wine Pairing Lunch, Wine Lovers Blind Tasting, and Cabernet Cabaret Gala including the Presentation of Cabernet Shootout Awards. We all know people who do their jobs so superbly because they love their craft. Winemaking is an art. 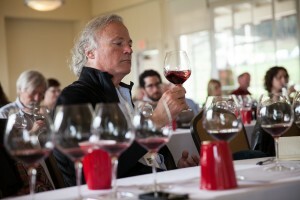 In this workshop, you will taste the wines from some of the most passionate winemakers we know. The winemakers will join us and share their wonderful wine, their passion and love of their art with you. A casual lunch featuring flat breads with toppings paired to Cabernet and other incredible food prepared by the amazing chefs at the Atlantis. Winemakers will move around and share their wines, including Cabernet Sauvignon, Cabernet Franc and Cabernet Blends. Blind taste top-rated wines from the 10th Annual Cabernet Shootout. Taste the selected wines and pit your palates against the expert panel of judges. Rate your preferences and vote for your favorites. There will be 2 sets of wines with participants limited to tasting one half of the total number of wines in this segment in this free flowing tasting. 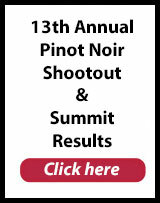 Wineries will showcase their award winning Cabernets and other wines they produce. 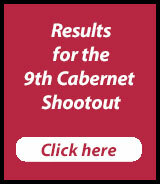 The final results of the both the professional judging of the 10th Annual Cabernet Shootout and the results from the Wine Lovers Blind Tasting will be announced at 8:00pm. A selection of Cabernet-friendly hors d’oeuvre will be served.